Lipitor® is a statin drug. Statins are prescribed to patients with high cholesterol and are supposed to lower the risk of stroke and heart attack in patients with high cholesterol. More than 1 in 5 adult women in the United States has high cholesterol. Many women take prescription medications in order to lower their cholesterol, but these medications may come with unwanted side effects and risks that are not disclosed when they are prescribed. 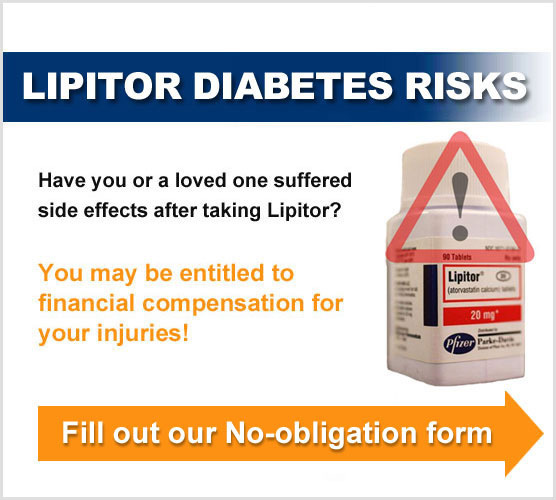 If you or a loved one has experienced complications or developed Diabetes after using Lipitor® you may be entitled to substantial financial compensation! There is limited time to file your claim! The review of your case is free, and you won't pay a dime until your attorney wins you the compensation you deserve now. Fill out our no-obligation form to have your case reviewed by one of our attorneys TODAY! Have you taken the drug Lipitor? Did you or a loved one develop Type II diabetes after taking the drug? When were you diagnosed with Type II diabetes? When did you start Lipitor? When did you stop Lipitor? Did you take any other statin drug? Have you retained an attorney for this case? I understand that by filling out this free consultation form I am not forming an attorney client relationship. I understand that I may only retain an attorney by entering into a fee agreement and that by submitting this form I am not entering into a fee agreement. I understand that not all submissions may receive a response. This website may be considered Attorney Advertising in some jurisdictions. In such jurisdictions, prior results do not guarantee a similar outcome. 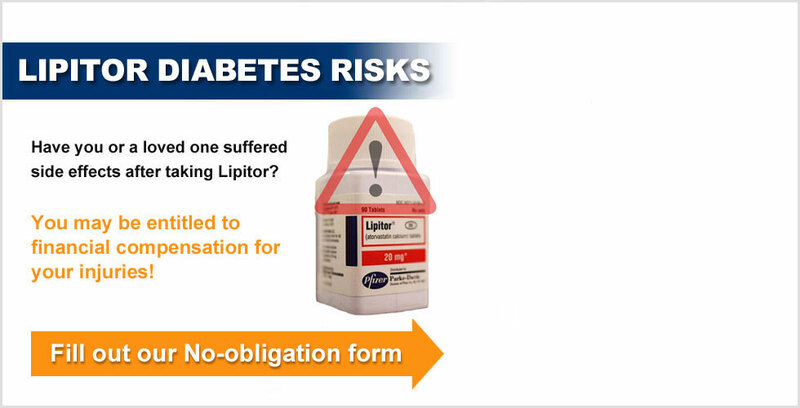 This website is not affiliated in any way with the following: Lipitor® is a registered trademark of Pfizer. Consult your doctor or physician before starting or stopping any medications. This site does not provide medical or legal advice, and services and legal review are not available in all states.